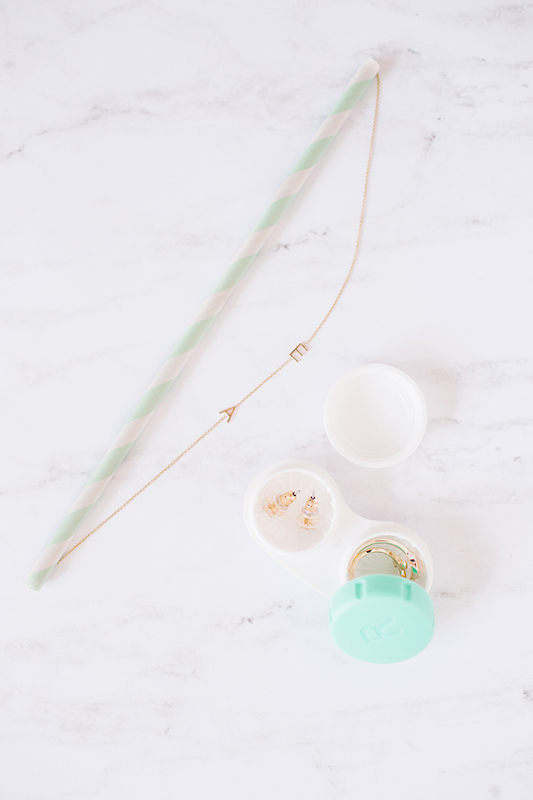 If you have a necklace with a delicate chain that gets tangled easily, loop it through a straw before packing it in your purse or jewelry pouch. 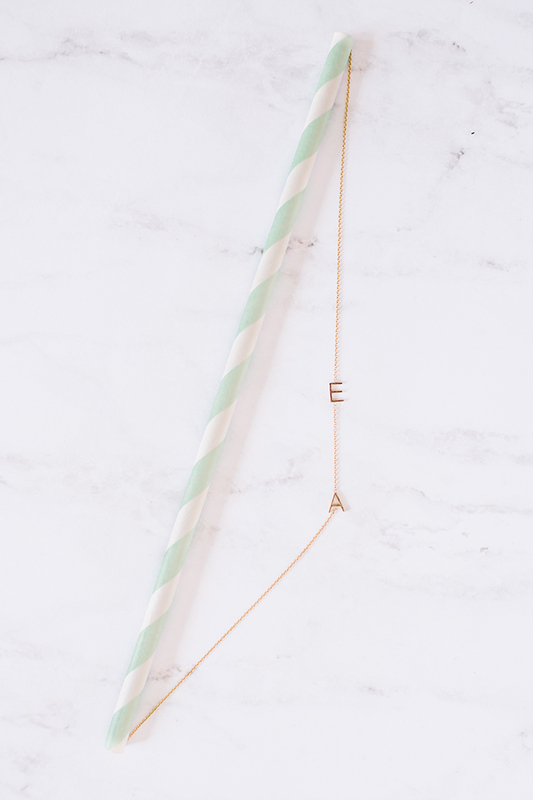 You can cut the straw shorter for a bracelet, or even make use of multiple straws for a necklace with a longer chain length. The straw/necklace hack also got me thinking about ways to pack my rings and earrings that were better than jumbling them all up in a pouch together, where they can get banged around. 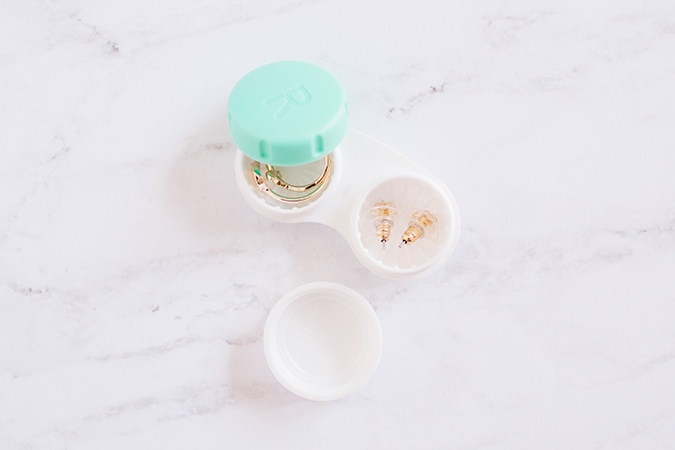 If you have an extra contact lens case at home, it makes for the perfect jewelry storage solution. Do you have any other packing hacks to share?